Showing results for tags 'feet'. 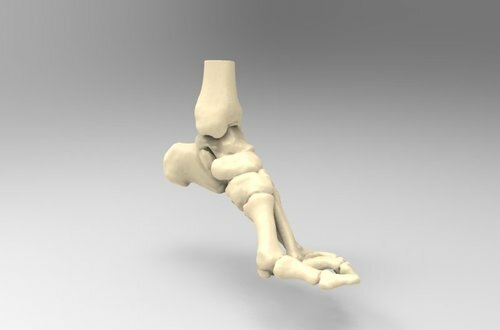 Real Size Human Left Foot This is a 3D rendering 3D printable model of human foot from MRI images. 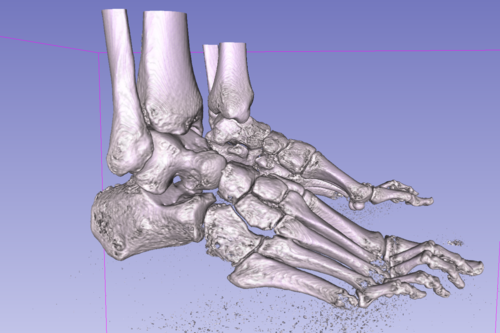 All bones of foot are connected and make it to be "One-Piece" model. Height quality STL file just ready to printing. A model can be used to study anatomy, biology and physiology. This is a CT scan of a 25yr old healthy male (myself a few years back) partial weight bearing. 0.9766mm in plane and 0.5mm out of plane resolution. http://www.plasticstoday.com/articles/adidas-unveils-the-ultimate-3d-printed-personalized-shoe-design151025?cid=nl.plas08.20151027 Interesting use of 3d printing. Be cool if they could make this for other sports - not just for running.